Yes, I’m already in two book clubs. Also, yes, I tacked on another one. But just this one time. Probably. One of my librarian friends told me her SciFi/Fantasy group was reading Andy Weir’s Artemis and I groaned because I knew she would talk me into reading it and coming to the meeting. 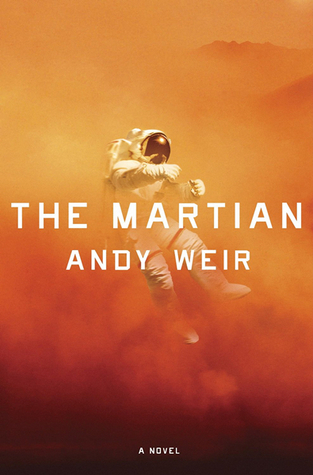 I loved Weir’s first novel, The Martian, and I had to see how his Sophomore attempt measured up. It seems a few other readers were in the same boat as me. We had a lot of questions about life on Artemis. At the same time, we didn’t want too many details because it would have weighed down the story. We did wonder about the education system and how you’d put together a school system for so few children. Was there enough demand for teachers? The book felt a lot like a Western. There was one sheriff, a lot of vigilante justice, and death from the elements was just a hair’s breath away. Only instead of angry Native American tribes, cholera, or snakes, it was temperature, pressure, and lack of oxygen. None of us would want to live on Artemis. First of all, no paper books! That would be hard for bibliophiles like us. But also, the lack of justice wasn’t attractive. We’re not the ones to live in the Old West it seems. Artemis is the Greek goddess of the moon. We wondered why Artemis was chosen and not the Latin equivalent, Diana. It would have made even more sense for a Kenyan god to be selected. Maybe the name recognition or pronunciation would have been more difficult. We enjoyed hearing about the small differences in life on Artemis. Coffee didn’t taste as good, stairs were half a meter high, how fun! We felt that these changes and new technology were introduced well into the story. Of course, we had to talk about Jazz. I’ve already said my share in my review, so I’ll leave that out. One reader was surprised by how rough Jazz’s language was. She was very much the rebellious daughter. She was as opposite her father, a devout Muslim, as one could be. Despite this, the relationship between Jazz and her dad played a central role in the plot. Her father was very proud of his honesty and trustworthiness. It made sense that he found his criminal daughter hard to get along with. Jazz’s father was many of our favorite characters. Another liked Rudy and his own brand of space justice. This group alternates SciFi and fantasy so fantasy is up next. I’m likely passing due to time but I’ll keep an eye out for the next book this group picks. I’ll likely drop in as I’m interested. I’d put this one off for ages because I felt it couldn’t live up to Weir’s first novel, The Martian. I’ll say right away, it didn’t. But that doesn’t mean this was a bad one. I was finally pushed to read it because a book club at my library had picked it for their third quarter meeting. I’m friends with the librarian in charge of the group and she asked if I’d read it and I had to admit I hadn’t but wanted to. That put me between a rock and a hard place! I took a lazy Saturday and powered through this one. It made for good reading between my naps. The plot in this was great. It was gripping and it moved well and there was no down time between events. That was a major reason I read it so quickly and let it eat up an entire Saturday. My issue with this book was Jazz. She didn’t feel genuine to me. I understand that she grew up in a frontier town that’s so different from the Midwestern life I know that it could be hard to relate to her, but she was so different that she didn’t seem like a woman to me. Maybe because of the male writer, it wasn’t going to feel right, but still. I also felt like I was being babied a bit by Weir. He’d say something about lunar gravity or laws and follow it up with a sentence that actually started with, “Remember,…” in case I’d forgotten we were on the moon. That bugged me a bit. Ok, a lot. In addition to Jazz, all of the characters seemed a bit off to me. Her father was the most realistic and it’s because he reminded me of an overbearing father whose daughter will never live up to his expectations. That happens on Earth, too! The other people were off and I think that could be explained away as people who fit in on Earth aren’t going to emigrate to the moon. It seems like a weak excuse, though. I wish some of them had been a bit more believable, I really do. I’ll just focus on the plot and continue to enjoy this one. Because other characters were so minor, Jazz was still my favorite character. She was so smart and so resourceful that I had to love her at least a bit. She often had her heart in the right place, but she didn’t always do the right or logical thing. She was like Gru from Despicable Me. I couldn’t relate to these characters and that’s part of why I struggled to enjoy the book. It was like reading a western but set in space. With a lot of science. And a female lead. It just wasn’t what I was expecting and I guess I was a little let down by it. It was a fun heist-like plot, but it didn’t move me in any way. I liked seeing Jazz’s plans play out. She was smart and always had to think things through because of her surroundings. Welding is basic but welding in a vacuum with an EVA suit on is not. She was very resourceful and smart and I liked seeing her ridiculous schemes come to life. I wonder how many of them would have really worked. I guess we’re still a few decades from finding out. The beginning of the book frustrated me. It was a long lead-in to be introduced to the characters. The rest of the book moved so fast that this really stood out to me. A lot of things were explained slowly and it developed Jazz’s voice, but it didn’t develop her character or the plot much for me. I think it could have been cut. Justice is different in Artemis. There’s not a lot of consequence for right and wrong and Jazz takes advantage of this. Is this better? Is living somewhere where destroying property is OK if you defeat a mob? Or almost killing everyone is OK as long as they don’t actually die? There’s a lot of grey area in law in the first place and Artemis thrives on that. Jazz takes advantage of it. Is that really OK? Writer’s Takeaway: Weir clearly does a lot of research. He has a section in the back of the book explaining how you can travel to space for about $70,000 in his economy and why that can rationalize the existence of a colony on the moon. When you read his books, it’s clear he knows what he’s talking about. He doesn’t let the science dominate the book, though. It’s still a work of fiction and this book was much more about Jazz and Artemis than it was at all about how to create a sustainable moon colony. I enjoyed this book but it had its flaws. Four out of Five Stars. Currently reading: I see The Poe Shadow by Matthew Pearl sitting on my bedside table every night. I want to finish it soon. Let’s see if I can. I’m still in love with A Column of Fire by Ken Follett. The separate plots and characters are coming together now and it’s been so cool to see everything work together toward what I’m assuming will be an amazing ending. I don’t want this to end! I made great progress with The Girl in the Spider’s Web by David Lagercrantz this week and should finish it up really soon! I’m enjoying this as much as the original trilogy and I hope Lagercrantz keeps it going. Since I finished Artemis, I was able to start Dark Matter by Blake Crouch. I hope I can sprint through this one as quickly! I’m on a hot reading streak lately. I working on Treasure Island by Robert Louis Stevenson as my ebook now. This will fulfill yet another time period for my When Are You Reading? Challenge which means I’m in the middle of three books to finish that off! Let’s just hope I can polish them off before the end of the year. Recently finished: I wrapped up Bel Canto by Ann Patchett during lunch last week. The ending had me a little puddle of emotions that was not ready to jump into four straight interviews. I think the movie will make me cry. This will be a good one. My review went up yesterday so please go check that out! I spent most of Saturday in bed resting and reading Artemis by Andy Weir. It was a quick read, much like The Martian and I enjoyed it. My review will be up tomorrow. It felt good to get through a book so fast! I posted my review of The Children’s Home by Charles Lambert on Monday and them promptly went to my book club on the book that evening. Look for the book club reflection coming soon. It was an interesting book to put it lightly. To be honest, I really disliked it! Reading Next: Another book club read to block me from reading Poe! I’ll be starting Not Me by Michael Lavigne next. I’m not sure how we came to select this one as there’s not much about it on our library site and it looks like it won’t be one I can audiobook. Darn. Currently reading: I’ve continued to make progress on Bel Canto by Ann Patchett but I’d really like to wrap it up soon. I’ve been reading this one since I was in Europe in July and I’d love to put it to rest and move on to another book. I’m still waiting on The Poe Shadow by Matthew Pearl and finishing up some book club picks in the meantime. I’ll get back to it, but it might not be until November or so. I finished the first half of A Column of Fire by Ken Follett and am still deeply in love. I want to finish this one, but I want it to drag at the same time. With my husband working a lot, I’m home alone and doing chores a lot of the time so I’ve been able to make great progress with The Girl in the Spider’s Web by David Lagercrantz. I think Lagercrantz has been a good pick to follow Larsson so far. We’ll see if I keep feeling that way, but so far I’m a fan. I started Artemis by Andy Weir and I’m trying to rush through. I want to get this one finished and go to the discussion but I need to read another book club pick for a group I’m already committed to. I have too many book club problems. Recently finished: I finished The Children’s Home by Charles Lambert over the weekend. I’m not sure how I felt about this one. Let’s just say I’m glad I have a book club meeting surrounding this book because I’m not really sure what happened in the last third of it and I was so upset by the sudden ending that I don’t want to Google it to find out. I think I’ll skip this author in the future, though. It was not my thing at all. Reading Next: I have another book club obligation that I need to get to and that’s Dark Matter by Blake Crouch. I think it will be a great Halloween read so I hope I can get to it soon. The meeting isn’t until the end of the month so I’m hopeful I can start it soon, it looks good! Currently reading: I’m making slow progress on Bel Canto by Ann Patchett. I’ve tried to pull this out of my pocket every moment I can but it’s still a slow go. I’ll have to be a bit better at dedicating time to it in the next few weeks to wrap up before it returns again. I decided to put The Poe Shadow by Matthew Pearl on hold for a bit to move forward with some book club picks. I’m afraid those are starting to pile up quite a bit! I’m in love with A Column of Fire by Ken Follett and am finding excuses to run errands so I can listen to it. I’m almost halfway already. I hope I can renew this one a few more times to finish it up. Driving to and from school so often is helping a lot! I decided to pick up The Children’s Home by Charles Lambert and try to knock it out quickly so I can get back to Poe. It’s a short book and I’m about a quarter of the way in so far. With luck, this will be finished next week. I began a new eaudiobook as well and I’m so excited to say that it’s The Girl in the Spider’s Web by David Lagercrantz. I wasn’t sure how to feel about this one when it came out, but my mom liked it so I thought I’d try to go into it impartial. So far, so good. Recently finished: I was able to wrap up The Lowland by Jhumpa Lahiri thanks to all my running in the past weeks. I’m revving up for a half marathon so I expect my eaudiobooks to fall faster and faster! It was interesting that I was reading two books at the same time about characters born in India. Thankfully, this did not run together with Umrigar’s book at all. I enjoyed The Lowland, though not as much as I enjoyed Lahiri’s first novel. I’ll read a third if she decides to write it. I posted my review Monday so please check that out. I gave it four out of five stars. Reading Next: Artemis by Andy Weir is still my top choice. I hope I can get to it soon but I can feel another book club selection baring down on me soon. I’m trying not to think about it. We’ll see how I do with all these pressures! Currently reading: Breaking News! I got my hold on Bel Canto by Ann Patchett back! The timing could not be better and I’m ecstatic to get back to reading this book. I’ve made great progress on The Lowland by Jhumpa Lahiri during runs. I expect this one two be wrapped up next week. It’s turned into one I’m really enjoying and reminds me what I loved about my previous Lahiri read. The Poe Shadow by Matthew Pearl is moving forward well and I’m enjoying the mystery now. It seems like a complete dead end but what better time for something ridiculous to happen! The plot of A Column of Fire by Ken Follett is building fast and I’m excited to see what ends up happening with these characters. Follett is living up to my expectations so far and I know he will continue to amaze me. Recently finished: I wrapped up The World We Found by Thrity Umrigar during my lunch last week. It perfectly took me the 30 minutes I allow myself to finish. I felt it ended a bit quick, but if it had kept going, it would have been twice as long. I understand why Umrigar ended it when she did but I wish I knew what happened to these ladies I’ve grown so close to. I wrote up a review and posted it yesterday. I gave the book Four out of Five Stars. Reading Next: I still plan to pick up The Children’s Home by Charles Lambert next. It’s a short one and I have the audiobook on hold. Maybe I’ll get lucky and have that to follow The Lowland. I got suckered into another book club. I don’t think I’ll join this one every quarterly meeting, but their next book is one I’ve had on my list and needed a kick in the pants to get to. I’ll be reading Artemis by Andy Weir. After how much I loved The Martian, I have unrealistically high expectations. Let’s see if I’m let down. A lot of you read my review on this book. I absolutely loved it and I was beyond excited to hear it would become a movie and even more so to hear it would star Matt Damon. It seemed like he was reprising his role in Interstellar but being less of a jerk. Side note- why does Matt Damon always need saving? Did Private Ryan set him on this course? Just curious. The Mars set. It was hard to imagine the Mars terrain while I was reading the book, but the movie brought it to life really well. The rust color and rocky landscape were really great and if they were built on a lot, I wouldn’t have known. Matt Damon. Especially the drastic slim-down he did. I’m not a fan of actors doing that to their bodies, but it was incredible. I thought Damon was a great choice for Watney because He was able to carry the sarcastic humor that I loved in Watney while still being believable as a great scientist. Not losing contact with NASA. While it forced Watney to be more independent and resourceful in the book, it didn’t change much about his communications with NASA in the end. They still talked and that was that. It was a setback in the book but didn’t need to be in the final movie. The windstorm being taken out. Again, something that showed how awesome Mark was. NASA was freaking out about the windstorm while Watney figured it out and a solution in a day. Very anticlimactic. I liked the removal. Annie’s personality. I was really looking forward to Kristin Wiig getting to play the sarcastic and hard-to-like Annie. I thought she could do a great job at it. I wanted to see her in a more serious role, but nothing too theatrical and I thought Annie would be great. But she fell really short to me. There was a lot of her dialogue that was taken out that I would have loved and she was very pushed aside. I don’t know why because Annie was a great character. The closing log entry. This bothered me a lot, probably because I watched the trailer for the movie right before I finished the book. So in the trailer, I hear this great monolog from Damon about humanity banning together to help him and how cool that was and I liked it. Then I finish the book and see that’s how it ends and I think, “Cool, I like that the ending is him on Hermes and not on Earth because that’s not important. This is cool.” But then that monolog, which I know Damon recorded, isn’t int he movie?! Why? How does this even make sense? Instead of this great closing monolog, we have Watney teaching astronaut school. WTF? The final rescue. That was out of character for Lewis and I wasn’t OK with it. She would have trusted her crew’s skills and would have let Beck do the rescue the same was she trusts Johannsen’s calculations and Martinez’s maneuvering. She wouldn’t have taken that job from him. I could almost forgive making the rescue more dramatic for a movie, but making it Lewis ruined it a bit for me. Beck’s character. Yes, this is related to the previous point. Beck had a minor part in the book but what defined him for me was the rescue at the end. In truth, Beck and Vogel could have been combined into one character from a story point of view but I’m guessing Weir kept them separate to be more accurate to NASA. Whatever. The point is, Beck was expendable in the movie because the one important thing he did got taken away from him. That means he was only important because Johannsen was attracted to him and there could be a romance in the book. Wooptie-freaking-do. Reader, I’m dying to know what you think. What did you think of The Martian movie? Do you think Matt Damon’s performance was great? When I hear things like ‘Science Fiction for the person who doesn’t like science fiction,’ I’m always skeptical. I usually think it’s way too science-y and hate it. But for once, the rumors were believable. This book is one with universal appeal and its 100% due to the amazing voice of Mark that Weir writes. This book will appeal to anyone who has been sarcastic for even one second of their life. Six days ago, astronaut Mark Watney became one of the first people to walk on Mars. Now, he’s sure he’ll be the first person to die there. After a dust storm nearly kills him & forces his crew to evacuate while thinking him dead, Mark finds himself stranded & completely alone with no way to even signal Earth that he’s alive—& even if he could get word out, his supplies would be gone long before a rescue could arrive. Chances are, though, he won’t have time to starve to death. The damaged machinery, unforgiving environment or plain-old “human error” are much more likely to kill him first. But Mark isn’t ready to give up yet. Drawing on his ingenuity, his engineering skills—& a relentless, dogged refusal to quit—he steadfastly confronts one seemingly insurmountable obstacle after the next. Will his resourcefulness be enough to overcome the impossible odds against him? Wow. I was not prepared for how much I would like this book. I’m not someone who enjoys space books and every time I try one, I’m always underwhelmed and over annoyed. But my husband and I were driving to New York and I thought this is one we would both enjoy. We loved it. I can’t wait for the movie. Matt Damon will be amazing in the role, I’m sure. In summary, there are not enough good things for me to say about this one. Mark is amazing. His strong voice makes the character jump off the page. Writing a voice like that is hard (I’ve tried!) and Weir pulls it off beautifully. Mark is smart, but he reacts to adversity the way most of us would, by cursing loudly and shaking a fist at the creator before figuring out how to survive. He’s likable and scrappy. In short, the perfect hero. If anyone said their favorite character was someone besides Watney, they’re lying to you. Though, Venkat is a close second for me. I liked his dedication and love from Earth. But really, it’s all Watney. But secret here; I’ve never been stranded on Mars. But I could relate to Watney. I’ve been stuck in situations where I had to figure things out and I was challenged. Times when I’ve struggled to think of something and the thing I think of might seem stupid for a second, but I know it is the only option and in the end, I’m surprised at my success. I think everyone’s felt that way. I think everyone has a little Watney in them. The rescue was amazing. It had me sitting in my car for ten minutes after I was home trying to convince myself I didn’t have to pee. I was so hooked and I had invested 9 hours in Watney already. I had to know how it was going to end. I don’t want to spoil it, but it will make an amazing climax to the movie. I can’t think of a point in the book I disliked or thought dragged. It was a really incredible pacing job. Every time we talked to Mark, he had something different to report on and I was always interested. Hats off to Weir! The audiobook I listened to was narrated by R.C. Bray. I thought he did a great job. He got the sarcasm of Watney right and brought a lot of character to the other speakers. If this had been a bad narration, the whole book would have been a huge drag, but Bray did a great job. It’s a lot of first person narration and I loved listening to it. Watney never gave up. There were so many things that could have stopped him, so many times he could have stopped trying, but he never did. He was persistent and kept trying and made me want to cheer for him. I loved it. The story was about the human spirit and how far we as a human race will go to protect another person. I’m getting all mushy, but this book deserves it! Writer’s Takeaway: Let’s talk about voice and first person narration. Weir’s book is my new favorite example. Mark is a character down to his word choice and reactions. His personality is so engrained into the book that you can’t escape it. It’s wonderful. It’s internal dialog they way we all think. I’m going to try to copy this from now on. A great book. Four out of Five stars. Currently reading: I almost hit the middle of Cloud Atlas by David Mitchell. So close. I might have to return it soon so I’m hoping I can renew it without losing it this time. Oh hold with I Am Malala by Malala Yousafzai. Stand by in case I lose Cloud Atlas. Half way with The Invisible Bridge by Julie Orringer. I’m liking it, but still not 100% bought into the main character. You would think with such a long book I would be by now, but no such luck. I’m on a mission to finish The Museum of Extraordinary Things by Alice Hoffman. The action was really slow to start and now that I’m over half way, I can finally see where this is going. I hope it picks up a bit more and I can get on with it. 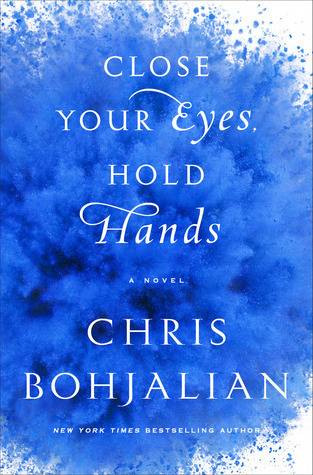 I started a new eAudio: Close Your Eyes, Hold Hands by Chris Bohjalian. It’s his first YA and it’s not the kind of YA I’m used it. It’s very ‘raw,’ which makes sense coming from an author who normally writes for adults. I’m liking it so far. Bohjalian’s daughter narrates the audio. She’s a trained actress and does a great job. Recently finished: Two! Two whole books, both audio. The first is Mockingjay by Suzanne Collins. It was nice to refresh this one in my mind. I remembered the major actions, but not the details. It’s going to be hard to wait for November to get here! I also finished Andy Weir. This book was really great. I highly recommend it for sci-fi or adventure fans. The narrator has a strong voice so it’s great for any writers struggling with that as well. One book review up for you all to enjoy as well, Hotel on the Corner of Bitter and Sweet by Jamie Ford. I really liked this one and hope you all do, too. 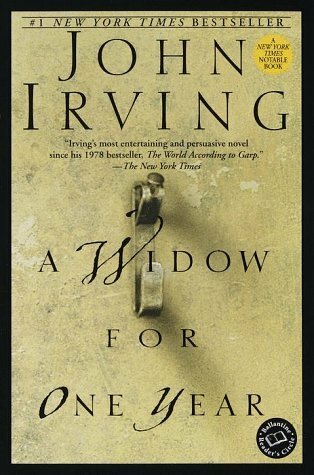 Reading Next: I got the copy of A Widow for One Year by John Irving last week, but unfortunately that’s got to wait. 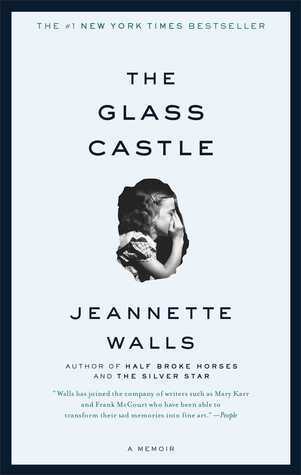 First I need to read The Glass Castle by Jeannette Walls for a book club. I hope I can get to these soon! Currently reading: I’m on to the next section of Cloud Atlas by David Mitchell. I liked the last section, about Luisa, a lot so I hope this one doesn’t let me down. No progress with. I Am Malala by Malala Yousafzai. Stand by. 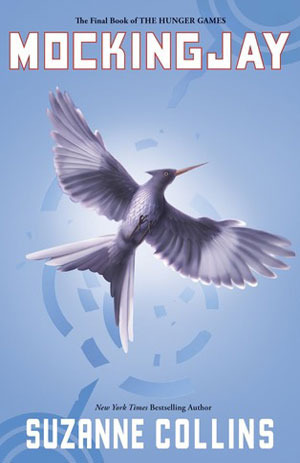 Good progress with Mockingjay by Suzanne Collins. I keep imagining this as a movie and it’s going to be awesome. I’m so excited for November. Better progress on The Invisible Bridge by Julie Orringer than I expected. I’m around disk ten now so I’m almost half way done. I’m getting annoyed by all the french road names. It’s reminding me of a Steig Larsson book. Slow start with The Museum of Extraordinary Things by Alice Hoffman. The week has been a bit hectic and I haven’t had time to read much. I’m hoping this changes. Just to make the list of books I’m reading longer, I’m still not done with The Martian by Andy Weir. My husband and I are going to trade it back and forth for our commutes until it’s finished. I hope I can get through it soon, I’m really enjoying it. Recently finished: Um…. yeah. Nothing this week. I haven’t had as much time to read as I’d like with physical therapy. It will be over soon, though. Then I want to hit the books hard. However, two book reviews! Beat that! One is for Hollow City by Ransom Riggs (2/5) and the other for Harry, A History by Melissa Anneli (4/5). Check them out and let me know what you think. Reading Next: While I’ve been waiting forever for A Widow for One Year by John Irving, it’s going to be put on hold. I’ve got to get to another book club selection, The Glass Castle by Jeannette Walls. This has been on my TBR for a while and since we were discussing new selections, I came ready with some I’ve been wanting to read and snuck them onto the list. Winning!